PCCharge Pro (formerly PC-Charge) is an award-winning credit card software product that helps reduce fraud losses, saves the merchant time and money,and provides powerful features and performance at the point-of-sale. Whether you are a retail or direct marketing brick-and-mortar store, mail-order/ telephone order or e-store business, PCCharge Pro is a cost effective solution that will work for you! All of our software is upgradeable so it won't become obsolete like credit card terminals do! * The basic PCCharge Pro package includes the ability to add one merchant number. There may be a fee to add additional merchant numbers. 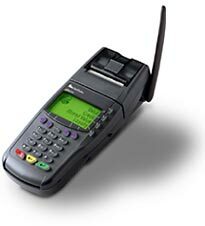 VeriFone Omni 3600 is the portable payment terminal you've been waiting for. Packed with power and performance, the Omni 3600 delivers comprehensive payment, payment-related and non-payment capabili-ties for merchants on the move. The stylish, fully integrated design includes a high-speed, graphics-capable thermal printer, triple-track magnetic-stripe card reader, primary smart card reader, three Security Access Modules (SAMs), large backlit graphical display, and an internal PINpadall in a lightweight unit that fits in the palm of your hand. Rebuilt trans units occasionally available. Email us for details. Copyright © 1999-2002 American Web Systems. All rights reserved.